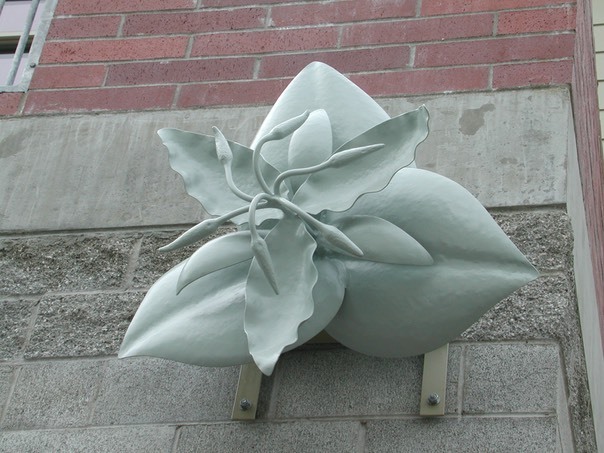 Trillium Button,�The Forest Is Waiting,�One of 8 elements installed on the facade of the Delridge Library, Seattle, WA. �Forged Steel. 36" dia. �Commissioned by the Seattle Public Library and administered by the Seattle Arts Commission. �Whitesavage & Lyle Inc. � 2002.